SINGLE–SOURCE LIGHT IS ALMOST ALWAYS USED, IN PHOTOGRAPHY, with the aim of calling attention to something other than itself. Typically the light’s origination point is hidden or removed from the final composition, entering from outside the frame via a side window or a top-down studio lamp, modeling or dimensionalizing an object, creating the illusion that all the light in the room just happened organically. And that’s pretty much as it should be. You usually don’t use the tools of a craft to say, in effect, look at the way these cool tools helped me play a trick on you. As photographers we don’t like to be caught in the act of fooling, and so there are many images where the single source light is seen just in its effect, not as a cause. Many, but not all. 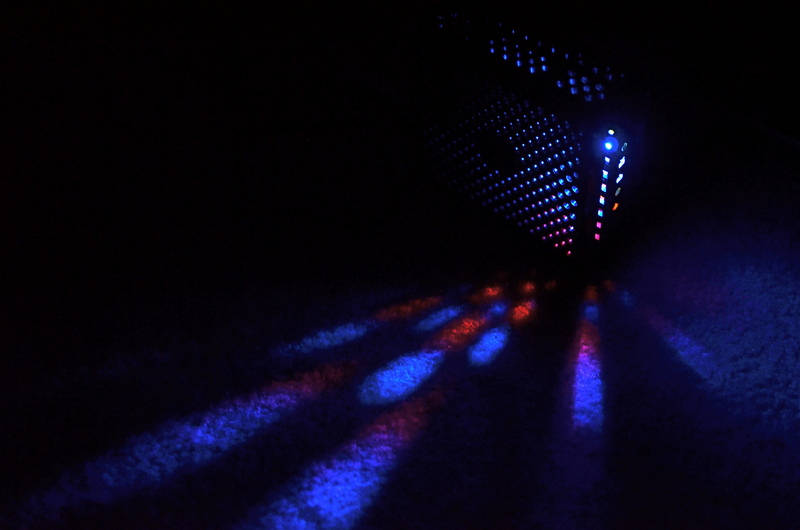 Sometimes the light actually needs to be part of the story, as shown here. Most places of business naturally react to the daily dying of exterior light by turning on their interior lamps. Sun goes down, lights go up. 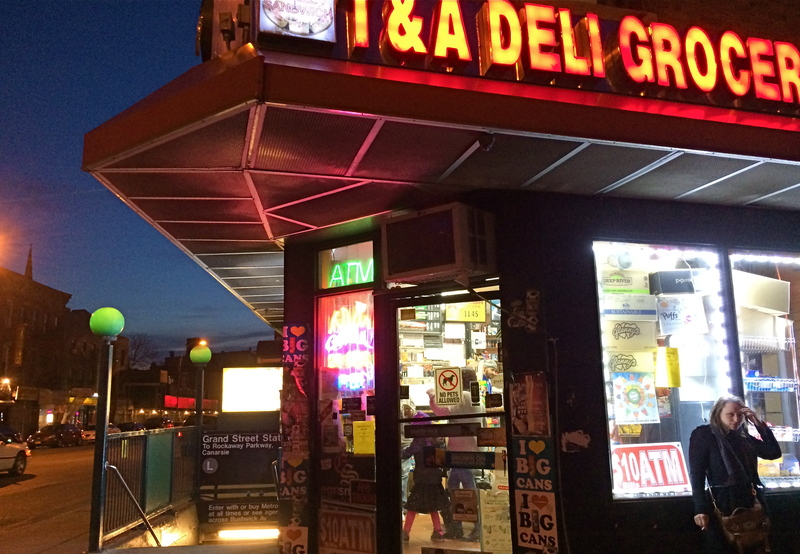 But occasionally, as in this wondrous and quirky little bakery cafe in Morningside Heights in Manhattan, the comfort food was accompanied by what could easily be termed comfort light. 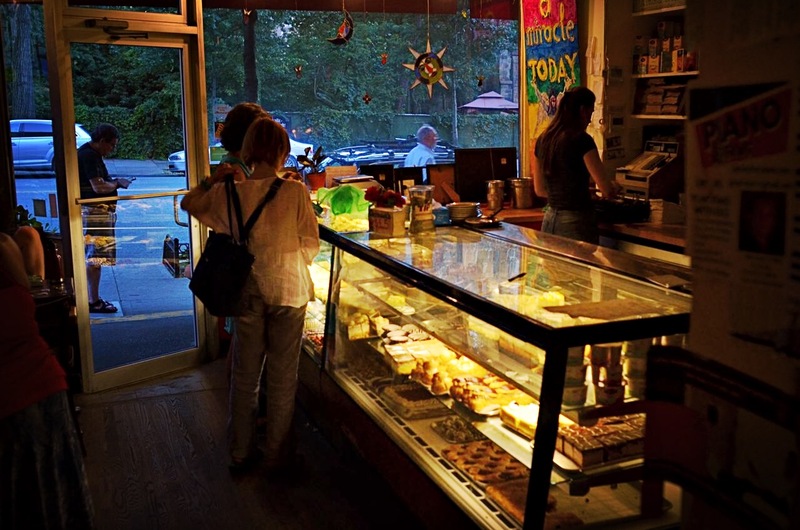 The lights inside the pastry case, at least during this particular evening, were allowed to serve as the only illumination for the entire inside of the store, lending the customers around the counter the warm intimacy of a shared fireplace. The moment filled me with longing for a world whose labors and leisure were once defined solely by the parameters of day or night, mitigated only by the occasional torch or oil lamp. And so, in this special case (and in many more you can no doubt name from your own experiences), the source of the image’s light really is part of the narrative, and thus deserves its place at center stage. IN A PERFECT WORLD, all our photographs would have their permanent address at the intersection of Flawless Technique Street and Great Message Boulevard. And while some do, magically, make it to this mystical crossroads, many others lose the paper the directions were scribbled on and wind up down some back alley. Powerful narratives can arrive in perfect packages, sure. But not often and not with any predictability. Often we settle for one half of the ideal or the other. That “going halfies” choice determines what we regard as most important in our favorite images. I would love to be able to achieve technical perfection every time I’m up to bat, but I’m not religious about raw precision….at least not the way I am about emotional resonance. Every one of you has a pile of pictures which are optically flawless and another pile of pictures that speak to your best intentions. Given an either/or judgement on which of these are your “keepers”, why wouldn’t you always, always choose the images that, regardless of various “flaws”, conveyed your mind and heart? Light, focus, aperture, even composition are tools, not ends unto themselves, and even the best photographers drop one or another of these techno-balls in some of their best work. But should we seriously disqualify an image merely on technical points? If the answer is yes, then half of the works that we collectively value as great must be stricken from the public record, and photography is merely a recording process, like the operation of a seismograph or any other instrument where precision trumps every other consideration. But if the answer is no, then a picture that fails one or more technical tests can stil be considered valid, so long as it is emotionally true. I struggle with these choices whenever I produce a shot that has things “wrong” with it, but which is also an authentic register of where my mind was at the time it was snapped. Photos like the one seen here would fail many a judge’s test, depending on who’s doing the judging. It’s too dark. The shutter speed is way too slow, inviting blur. Some of the shadows swallow detail that might just be important. And yet I love this building, these people, this moment. In my defense, I had to decide in an instant whether to even attempt the picture, taken, as it was, from the back seat of an Uber lurching unevenly through the streets of Manhattan. Shooting on full manual, I had to anticipate fast changes in available light, the length of traffic signals, the process of shooting through glass with a filtered lens, and the occasional offensive/defensive maneuvers of the driver. In raw scoring, I just didn’t manage to master all of these variables in a technically perfect manner. And yet.. There has been a lot of talk lately about not letting the Perfect be the enemy of the Good, a phrase which says more about photography in ten words than I’ve said in this entire page. Rule one for shooters: don’t let the flawless be master over the real. I HOLD HERE IN MY HAND…..
One Flight Up (2013) Handheld night shot, 1/100 sec., f/1.8, ISO 320, 35mm. NIGHT SHOTS IN CITIES SEEM TO BE A SIMPLE CHOICE BETWEEN HAND-HELD OR TRIPOD, but those are only the most basic decisions to be made, depending on the texture and mood you’re trying to build into your images. Of those two main choices, many more are opting for hand-held because of convenience and speed, bypassing interference from security people, passers-by, weird weather,etc. And, let’s face it: it’s easier than ever to deliver a readable night photo without the long exposures that used to absolutely necessitate a tripod, especially if you are not worried by the need to either use a wide aperture (thus shallow depth of field) or increased ISO (inviting more digital noise and a decidedly “smudgy” look in the deeper shadows. If you are in the hand-held camp, you’ve got plenty of company. Tripod people are dedicated, patient, and doomed to travel less lightly, composing longer exposures in darkened conditions and sweating the unwanted artifacts, from wild pixels to smears of people and lights, that will be baked into shots lasting a few seconds or longer. But to rescue a ton of texture and detail from darkened buildings with a minimum of noise, there is no look like a well-modulated time exposure. The Old Post Office (2013) 1/100 sec., f/1.8, ISO 230, 35mm. 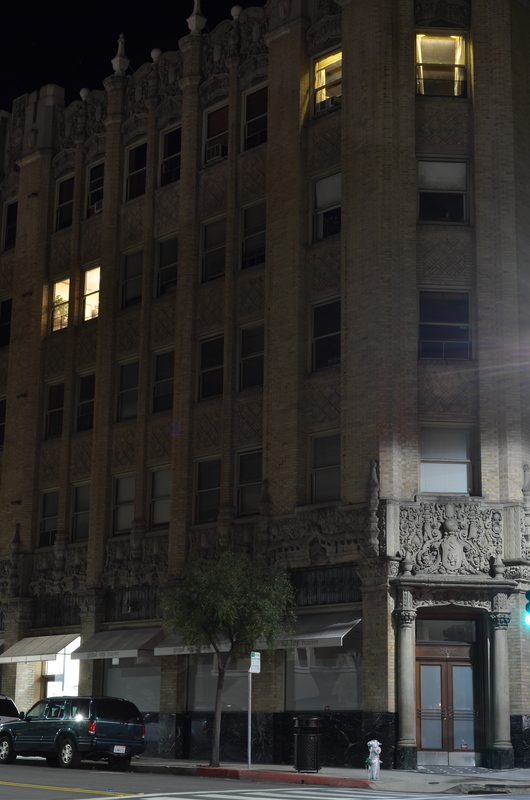 Beyond these two big choices, however, lie the deeper, more subtle reasons we like to shoot cities at night. Some towns flood nearly every important building with light, much of it of the sodium-vapor variety, which is long on orange. And that can mean that a mysterious, brooding quality might be totally unattainable, either three-legged or hand-held, with no way to underexpose or suggest something not absolutely spelled out in neon, in even short exposures. I personally love to to look for the more neglected sectors of cities, those “London after midnight” kinds of streets where dark means dark. I love to underexpose them a bit as well, ensuring that all the details of the structure are not revealed, all the better to let your mind wander. 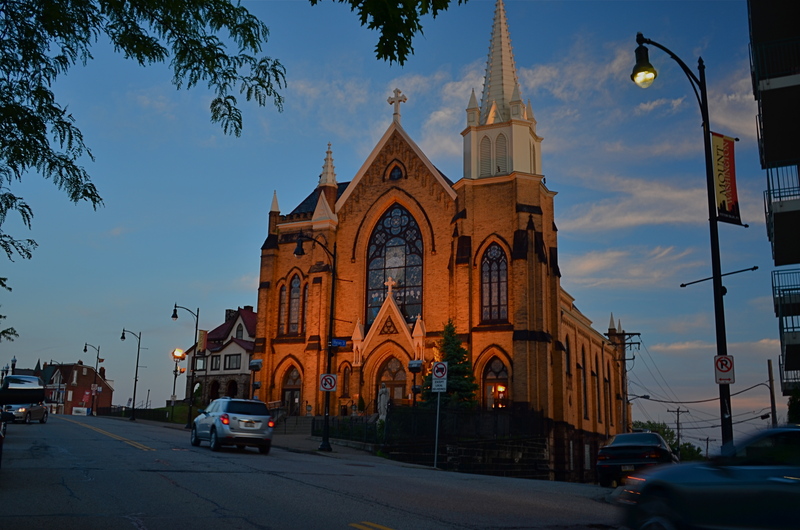 If my subject has prominently lit windows, I have to tweak and tease to render them in a kind of incandescent amber, but I decide in the moment whether the exterior should be pure black, blue-black, or even amber-black, as if the window light has spilled onto the surrounding textures. And, yes, I might decide that the more ashen, grainy look of high ISO is just what I’m looking for in that moment. Tripods used to be a do-or-die proposition for night images, but the freedom of hand-held shots carries with it a whole distinct set of decisions, since there is no typical camera, no typical subject, and no typical result. The only thing that truly matters is what you want to see coming out of the camera, be it long shot or short snap. MUSEUMS AND GALLERIES COMPRISE SOME OF THE MOST INTERESTING WORKOUT SPACES for photographers, but for none of the reasons you might suppose. On the most obvious level, certainly,they are repositories of human endeavor, acting basically as big warehouses for things we deem important. But, beyond that, they are also laboratories for every kind of lighting situation, a big ‘ol practice pad for the mastery of lenses and exposure strategies. Sometimes the arrangement of color and shadow in some art houses is so drastically different from room to room that, even if there is nothing of note hanging on the walls, the walls themselves can frame amazing compositional challenges. 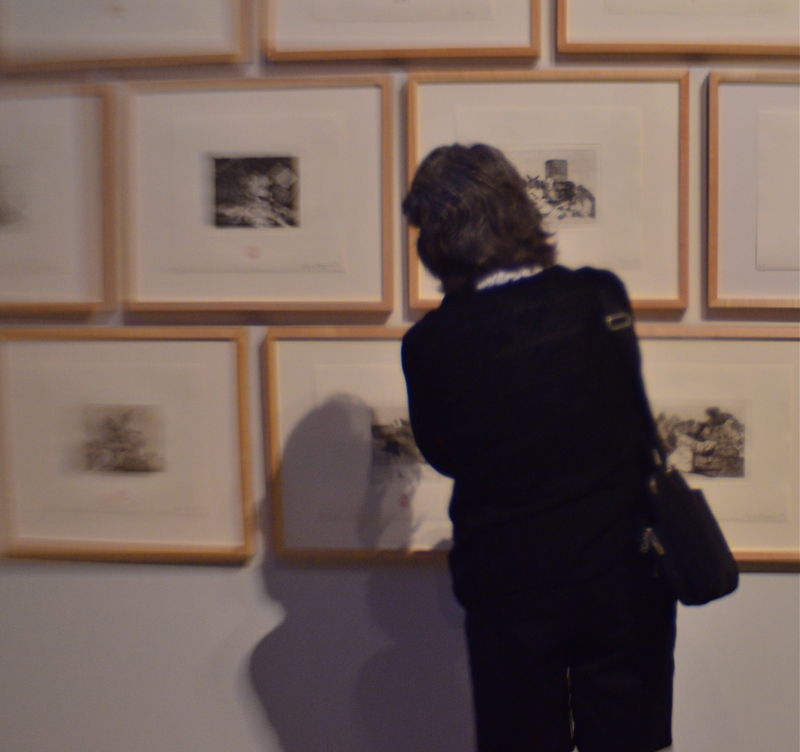 There is also a secondary, and fairly endless, source of photographic sketch work to be had in the people who visit public art spaces. The body language of their contemplative study of the artwork is a kind of mute ballet all its own, and no two patterns are alike. Watching the people who watch the art thus becomes a spectator sport of sorts, one which works to the advantage of the candid shooter, since people are more immersed in the paintings and thus a little less aware of themselves as regards the photographer. That leads to what I call “bodily candor”, a more relaxed quality in how they occupy their personal space. Sometimes, as seen in the images in this article, your subject’s physical footprint is enough to express a full sense of the person without a trace of facial detail. In fact, I actually prefer this “no-face” approach, since it forces the viewer to supply some information of his own, making the photographs more interactive. Try some gallerylab shots the next time you are hostage to a museum tour that was someone else’s idea of a good time. 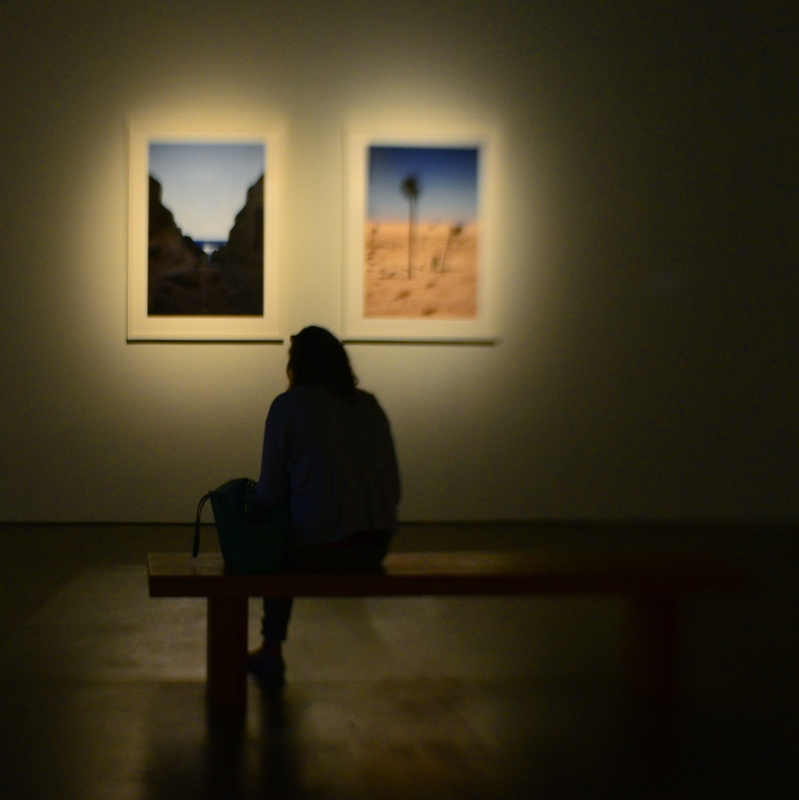 The exhibits themselves may disappoint, but the museum space and the people in it offer pretty consistent material. PHOTOGRAPHIC COMPOSITION IS A CONSCIOUS PRIORITIZING OF EVERYTHING WITHIN A PICTURE’S FRAME, a ruthless process of demanding that everything inside that square justify its presence there. When we refer to the power of an image, we are really talking about the sumtotal of all the decisions that were made, beforehand, of what to include or lose in that image. Without that deliberate act of selection, the camera merely records everything it’s pointed at. It cannot distinguish between something essential and something extraneous. Only the human eye, synched to the human mind, can provide the camera with that context. Many of our earliest photographs certainly contain the things we deem important to the picture, but they also tend to include much too much additional information that actually dilutes the impact of what we’re trying to show. In one of my own first photos, taken when I was about twelve, you can see my best friend standing on his porch…absolutely…..along with the entire right side of his house, the yard next door, and a smeary car driving by. Of course, my brain, viewing the result, knew to head right for his bright and smiling face, ignoring everything else that wasn’t important: however, I unfairly expected everyone else, looking at all the auxiliary junk in the frame, to guess at what I wanted them to zero in on. Jump forward fifty years or so, to my present reality. I actively edit and re-edit shots before they’re snapped, trying to pare away as much as I can in pictures until only the basic storytelling components remain….that is, until there is nothing to distract the eye from the tale I’m attempting to tell. The above image represents the steps of this process. It began as a picture of a worn kitchen chair in a kitchen, then the upper half of the chair near part of a window in the kitchen, and then, as you see above, only part of the upper slats of the chair with almost no identifiable space around them. That’s because my priorities changed. At first, I thought the entire kitchen could sell the idea of the worn, battered chair. Then I found myself looking at the sink, the floor, the window, and…oh, yeah, the chair. Less than riveting. So I re-framed for just the top half of the chair, but my eye was still wandering out the window, and there still wasn’t enough visible testimony to the 30,000 meals that the chair had presided over. 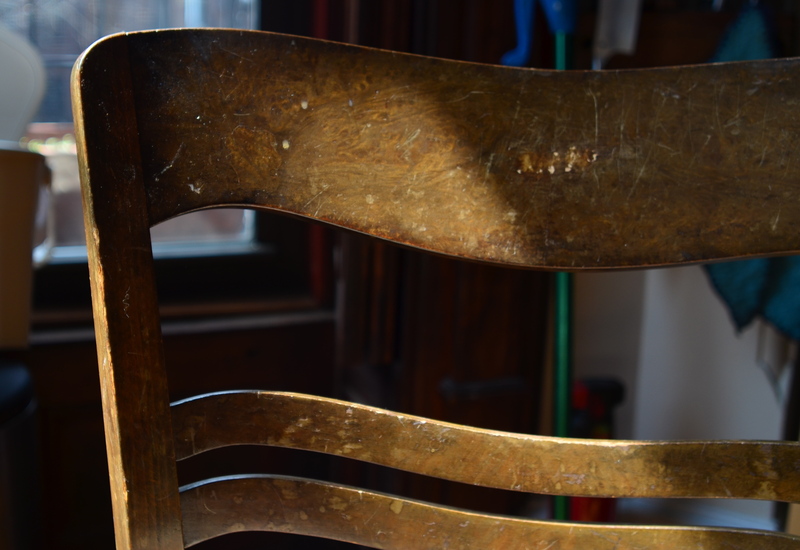 So I came in tighter, tight enough to read the scratches and discolorations on just a part of the chair’s back rest. They were eloquent enough, all by themselves, to convey what I wanted, without the rest of the chair or anything else in the room to serve as competition. So, in this example, it took me about five trial frames to teach myself where the picture was. And that’s the point, although I still muff the landing more often than I stick it (and probably always will). To get stronger compositions, you have to ask every element in the picture, “so what do you think you’re doing here?” And anyone who doesn’t have a good answer….off to the principal’s office. TO A PHOTOGRAPHER, THE ENTIRE WORLD IS PRETTY MUCH A “PUBLIC PLACE“, or, more properly, his own personal work space. However, that dreamy viewpoint is not shared by the world at large, and shooters who try to harvest their shots in museums, theatres, office lobbies and other popular gathering points are finding, more and more, that they are about as welcome as a case of shingles unless they are (a) quick (b) unobtrusive and (c) polite to the point of fawning. First, some of the excess paraphernalia that photogs pack can strike curators and security personnel as hazardous, if not downright dangerous. This view is reflected in the growing number of attractions that have, of late, prohibited the use of selfie sticks. That one I kinda get. Photographers have also taken a hit in the number of places that will permit flash of any kind, and tripods and monopods are nearly always forbidden. The real determinant in why public spaces are less inclined to play ball with photographers, however, is that they simply don’t have to. More patrons than ever rely solely on cel phones, which, in turn, have become more sensitive to low-light situations, making for shorter exposures with fewer add-ons, a technical leap that ensures that everyone will come away with at least some kind of picture. If you need a longer exposure at lower ISO (hence less noise), you still need traditional, higher-end gear, but those numbers are shrinking so much that the gatekeepers can be a lot more restrictive overall. In many dark spaces I simply can’t find a place to stabilize my camera long enough to take an extended exposure. And, with ‘pods off the table as an option, you’re down to benches, ledges, or other precarious surfaces, and, with them, the paranoid hovering of a mother eagle guarding her eggs to steer foot traffic away from her “nest”. A remote shutter release helps, but the whole project can raise the blood pressure a bit. At least with tripods, passersby can see a set space to steer themselves clear of. A crazy man waving his arms, not so much. Herd On The Street, 2016. A twenty-five second exposure at f/8, ISO 100, 24mm, from a camera teetering on a museum railing. 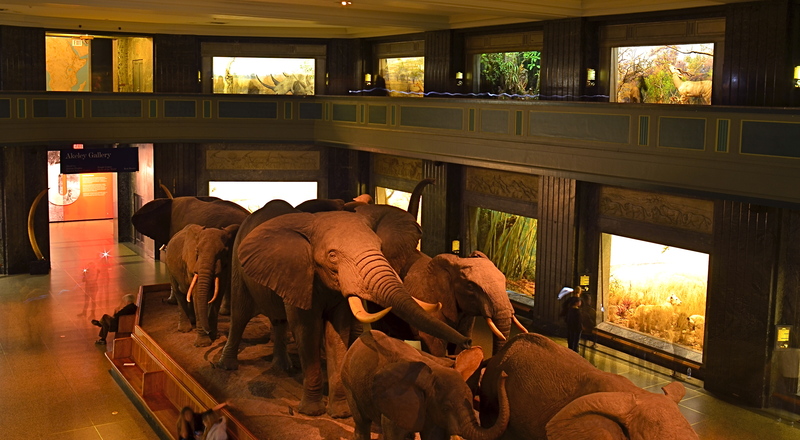 The above image was taken in one of the most light-deprived sectors of the New York Museum Of Natural History, with only soft illumination in the side showcases to redeem the pitch-black gloom. No flash would even begin to fill this enormous space, even if it were permitted, and the hall is always crowded, so resting my camera on a narrow rail, twenty-plus feet above the main floor, and going for a long exposure, is the only way for an acceptable degree of detail to emerge from the murk. My wife, who is known for nerves of steel, had to excuse herself and go elsewhere as I was setting up the shot. I couldn’t blame her. Three or four anxious framings later, I got a workable exposure. 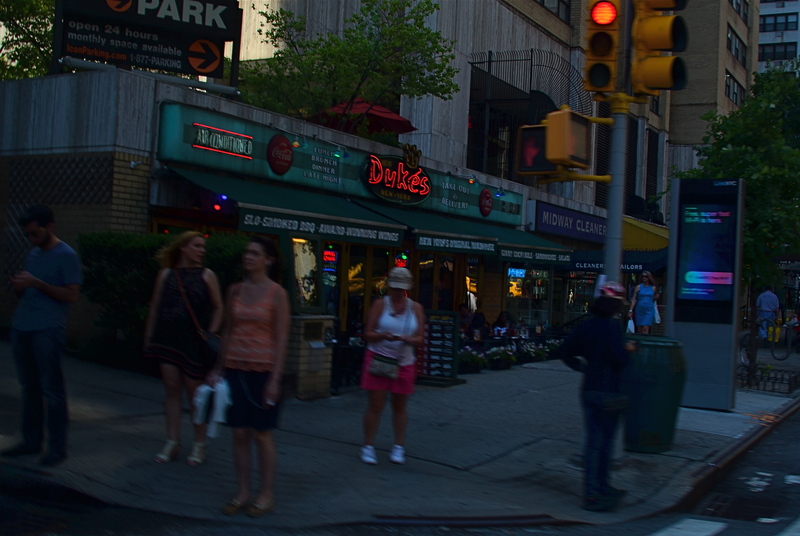 As occurs with time exposures, people walking through the scene at a reasonable speed are rendered nearly invisible. The persons near the back of the elephant herd stood still long enough to take a flash snapshot, so their flash burst and some smudgy shadows of their bodies can be seen, as can the trailing LED light that someone else on the upper deck apparently was walking with in the upper right corner. But for this kind of shot, in these modern times, such artifacts are part of the new normal. This shot, as the one below, is taken at 1/60 sec,, f/2.2, ISO 250, 35mm. The difference between the two images is the white balance setting. IF YOU’VE EVER GLANCED AT THE NORMAL EYE’S HOME PAGE MISSION STATEMENT, you might come away with the impression that I am unilaterally opposed to automodes, those dandy little pre-sets that do their best to predict your needs when making a photo. The truth is that I am against doing anything “all the time”, and thus caution against the universal use of automodes as a way of idiot-proofing your shoots. They can be amazing time-savers, sometimes. They are reliable shortcuts, sometimes. Just like I sometimes like bacon on a burger. There are no universal fixes. I meet many people who, like myself, prefer to shoot on manual most of the time, eschewing the Auto, Program, Aperture Priority and Shutter Priority modes completely. Oddly, many of these same people almost never take their white balance off its default auto setting, which strikes me as a little odd, since the key to color photography is getting the colors to register as naturally as possible. Auto WB is remarkably good at guessing what whites (and in turn, other hues) ought to look like in a pretty wide variety of situations, but it does make some bad guesses, many of them hard to predict. A gross-oversimplification of white balance is that it reads the temperature of light from cold to warm. Colder temp light runs bluer. Warmer temp light reads more orange. Auto WB tries to render things as naturally as it can, but your camera also has other customizable WB settings for specific situations, and it’s worth clicking through them to see how easy it is to produce subtle variations. 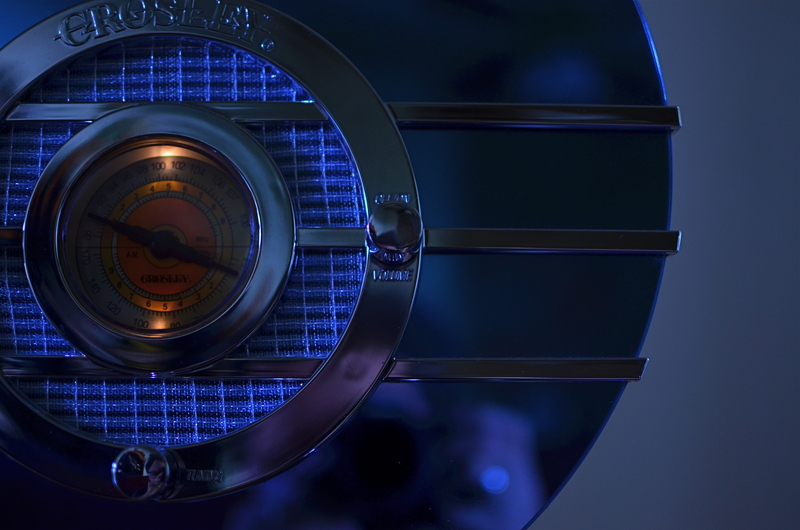 In the picture in the upper left corner, I’m taking a picture indoors, in deep shade, of a reproduction 1930’s Bluebird Sparton radio, a wondrous Art Deco beauty featuring a blue-tinted mirror trimmed in bands of chrome. To emphasize: blue is the dominant color of this item, especially in shade. Shade, being “colder” light, should, in Auto White Balance mode, have registered all that blue just fine, but, in this case, the chrome trim is completely (and unnaturally) painted in the same orange glow. As for the blue values, they’re well, kind of popsicle-y . That’s because, when it’s all said and done, Auto White Balance is your camera’s educated guess, and it sometimes guesses wrong. If you always use it, you will occasionally have to eat a bad picture, unless you take action. I get blue when I listen to the radio, or when I dial up the appropriate white balance. For the above image, I want the dial to be nice and orange, but just the dial. To try to get the blues back to normal on the rest of the radio, I switch to the Tungsten white balance setting (symbolized by a light bulb, since they burn, yes, tungsten filaments), something I normally wouldn’t do in either daylight or shade, but hey, this is an experiment anyway, right? To make it even weirder, Tungsten might read neutrally in some kinds of indoor night settings…but it also doesn’t behave the same way in all cases. 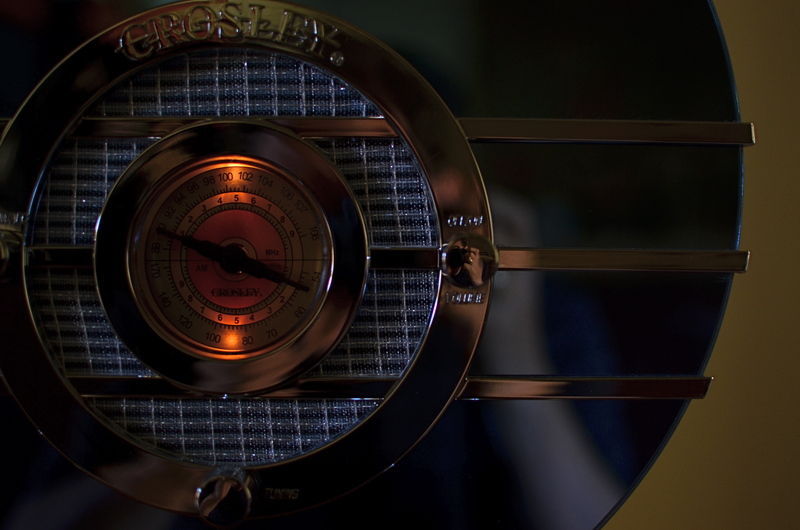 In this case, I caught a break: the orange in the radio dial registers pretty true and all the metals are back to shades of silver or blue. Notice how both white balance settings, in this strange case, both performed counter to the way they are supposed to. One misbehaviour created my problem and another misbehaviour solved it. Hey, that’s show business. Hence the strange but appropriate title of this post. Don’t ever “always” do…anything. If you want the shot you want (huh?) then pull an intervention and make the camera give it to you. Automode in white balance is just as fraught with risk as any other automatic setting. It works great until it doesn’t. Then you have to step in. A tripod night exposure that could have been a contender, had I truly been prepared. SHOOTING ON A TRIPOD IS OFTEN RECOMMENDED as the way to afford yourself the most stability in a long exposure. After all, few of us are robotic enough to hold a camera stock-still for anything below a third of a second, so it’s a no-brainer to park your camera on something that’s too inhuman to flinch. You can also take amazing stuff hand-held on shorter night exposures, so long as you (a) have a lens that will shoot around f/1.8 or wider and (b) you can live with the noise a higher ISO will engender. So, yeah, tripods have their place, but they are not the only determinants in the success of a night-time shoot. And those other x-factors can severely compromise your results. There is the stability of the tripod itself, which isn’t a big sweat if you shelled out $900 for a carbon-fiber Gitzo Pan/Tilt GK, but might generate heartburn if you got something closer to a set of metallic popsicle sticks for $29 at Office Max. The shot above was taken using my own modest (cheap) rig atop Mount Washington across from downtown Pittsburgh, and a few of the healthier gusts threatened to take it and me on a quick lap around the riverfront. Some people buy sandbags. Some believe in the power of prayer. Your choice. Another x-factor for ‘pod shots is the actual weather you’re shooting in, which will, let’s say, shape your enthusiasm for staying out long enough to get the perfect shot. The smaller your aperture, the longer the exposure. The more long exposures you take, the longer you, yourself, are “exposed”…to snow, sleet, and all that other stuff that mailmen laugh at. Again, referencing the above image, I was contending with freezing drizzle and a windbreaker that was way too thin for heroics. Did I cut my session short? i confess that I did. I could also mention the nagging catcalls of the other people in my party, who wanted me to, in their profound words, “just take the damned picture” so they could partake of (a)a warm bar, (b) a cold beer, (c) a hot waitress. Result: a less than perfect capture of a fairly good skyline. A little over-exposed, washing out the color. A little mushy, since the selfsame over-exposure allowed the building lights to burn in, rendering them glow-y instead of pin sharp. I was able to fix some of the color deficiencies later, but this is not a “greatest hits” image by any stretch. Tripods can be lifesavers, but you must learn to maximize their effectiveness just like any other piece of camera equipment. If you’re going to go to a buncha trouble to get a shot, the final result should reflect all that effort, quality-wise. WHICHEVER SHIFT YOU WORK, YOU ARE FOREVER A STRANGER TO THOSE who work the other side of the workday. And while the majority of us generally fit into the standard 9 to 5 job template, millions of us have our body clocks regularly flipped upside down, our days cloaked in darkness, our brains awake while the city at large sleeps. That means that at any moment, half of us have little comprehension of how the other half lives. There’s a story in that. Pictorially speaking there has always been a bit of a black market mindset about the night-time, a nether world for some, a regular hangout for others. And with good reason: photography, in its infancy, had to ply its trade largely in sunlight, avoiding scenes which required either too much time, too much prep, or too much patience with slow recording media. But now we live in a very different world, armed with digital computers that look suspiciously(!) like cameras, but which react to light with an efficiency unseen in the entire history of photography. Capturing the night is no longer a rare technical achievement, and we are really only at the front end of a steadily rising curve of technical enhancement in the area of light sensitivity, with no end in sight. Finally, darkness is something that uniquely colors and reveals reality instead of cloaking it in mystery. There is no longer an end to the shooting day. The image above is by no means an exceptional one, shot with a prime lens open to f/1.8 and a sensor that can deliver manageably low noise even at ISO 1250. More importantly, it is a handheld snap, shot at 1/30 sec…..all but unthinkable just a dozen years ago. The new golden age of night photography is already apprehended by the youngest generation of shooters, since many of them can’t recall a time when it was a barrier to their expression. And, for those of us longer of tooth and grayer of beard, there is the sensation of being free to wander into areas which used to be sealed off to us. Sun up, sun down, it’s always time to take a picture. Suddenly your eye is like a great downtown deli. We’re open all night folks. We never close. THE MOST CONSISTENT CRITICISM I’VE CAUGHT ABOUT MY URBAN PHOTOGRAPHY over a lifetime is that it’s a little, well, clinical. Now, it’s true that I like to feature urban spaces in their purest form, or, as near the architect or planner’s original vision as possible. Certainly, the urban dwellings I shoot were designed to serve people, but I can’t resist occasionally showing these spaces as absolute designs, minus the visitors. I realize that, for some, this can render things a little antiseptic, but I don’t mean anything personal (impersonal?) by it. Comparing notes with other shooters, I find that they, too, occasionally like to just show things that were designed for humans, only without…the humans. And I believe that parks, libraries, and museums can actually increase their profit by accommodating photographers in the same way that they might for their own marketing efforts. Universally, when it’s time to do a photo feature on an historic site, the first thing that curators do is chase all the peasants off the property and give a photographer exclusive access to the place. You’ll see this to a lesser degree when people shoot real estate listings, and it makes perfect sense. The shooter has time to plan and experiment, without working around an endless supply of kids with Slurpees and moms with strollers. It’s not anti-human, it’s pro-photo. So here’s the idea: why not dedicate a set amount of an attraction’s weekly tour schedule solely to solo photography tours? Calculate your place’s slow earning days and book those times in, say, half-hour increments, chunks in which the only persons inside the joint would be one employee and one photographer. I know many shooters who would gladly pay a bump of up to 100% of the going tour rate just to ensure privacy, and be allowed to effectively prepare shots. Parks like Yellowstone, along with a growing list of museums and monuments have already crafted private tour options for photographers. It’s all found money,since all attractions have their dead seasons, weeks or months out of the year when they could throw a bowling ball across the place without hitting anything. Why not use those off-days as moneymakers? I love people, but if I’m visiting a place to have my one shot at capturing a magnificent structure, I hate settling for what I can frame around, versus what I could do if I just had the same access as National Geographic. Just once. Slurry Wall And Hero’s Girder, 2015. 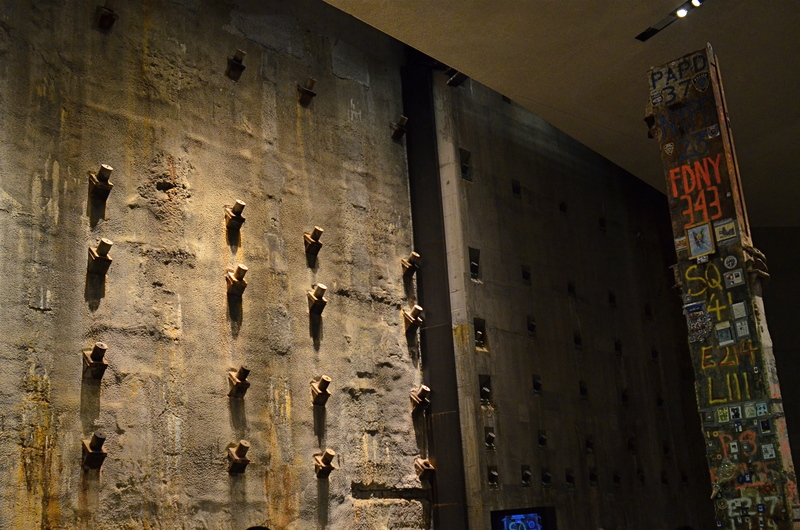 The 9/11 Memorial Museum in New York is a cathedral of grim silence. AS THE MOST PHOTO-DOCUMENTED EVENT IN HUMAN HISTORY, the attacks of September 11, 2001 have spawned images that can never be unseen. Images that tear at you, slam you in the back of the head, wring tears and rage from you, stun you mute. 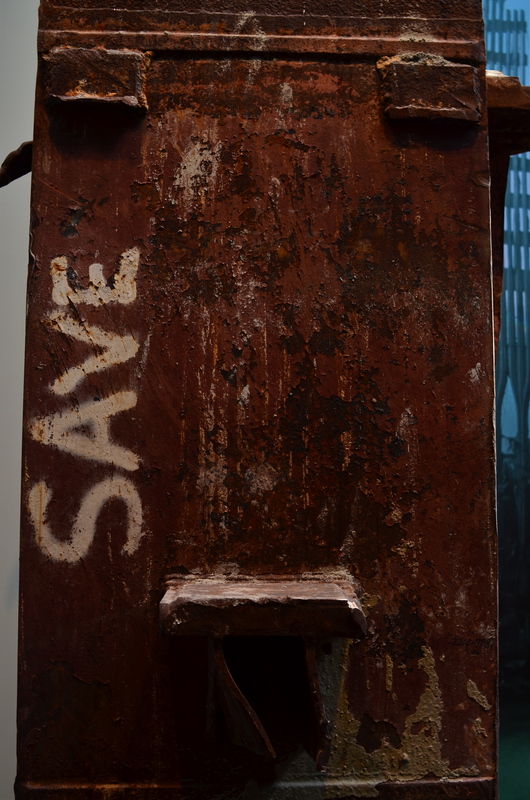 As the keeper and curator of many of the most powerful of these images, the 9/11 Memorial Museum in lower Manhattan has achieved a tough but fair balance of emotion and academia. Given the staggering number of people whose personal stake in this space covers every human motive and perspective, the making of this part-exhibit-part-shrine may have been one of the most thankless jobs imaginable. And yet the job has been done, with eloquence and a spare, stark restraint that is poetic. Visiting the museum is no easy task. As Shakespeare said, if you have tears to shed, prepare to shed them now. But visit you should, and, yes, there is something that a camera can capture there without being crass or irreverent. The designers have seen to it. Firstly, they have guaranteed that the main central exhibits of debris, personal documents, voice messages and news video are completely off-limits to any kind of photography. Walk in there, and you’ll know why. Those who accidentally caught this epic horror in the moment of its occurrence will never be equaled or surpassed by anyone taking a casual snap on a smartphone anyway, and trying to do so would be like setting off sparklers at a requiem mass. No, the real photographic opportunities are in the dark, cavernous spaces under the surface of the street, dim caves that make you feel as if you yourself, are, for a moment, trapped, running out of light and time. The enormous foundation known as the slurry wall, which, in surviving the titanic forces of the towers’ collapse, kept the Hudson River from flooding all of lower Manhattan. The rusted girder that, like a day-glo-autographed tombstone, bears the signature of every working company of first responders that slaved away at Ground Zero, first as rescuers, next as salvagers, always as heroes. It is here, in the quiet arrangement of these incredibly scaled spaces, that the 9/11 Memorial Museum becomes more spiritual than any hour you will ever pass in church. 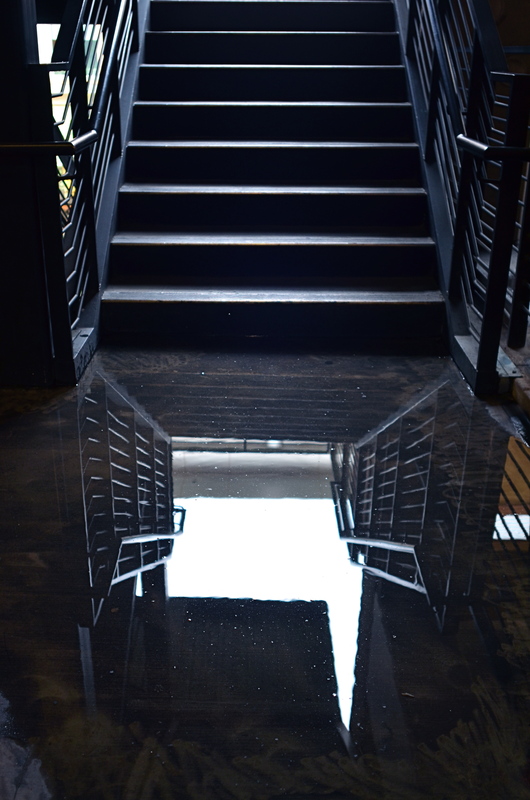 It is in these dark, harrowing parts of the hall that you fully sense what a slender thread we all hang from, and understand that light and darkness struggle for the same real estate, now as then. CITIES NEVER COMPLETELY CLOSE. We prefer to think of the urban workday as a uniform morning-to-afternoon stretch, but in truth, our concrete forests always harbor legions of people at the margins of those arbitrary time boundaries. Someone has to take out the trash, hunker over the overdue report, or merely cringe at the thought of going home to whomever. I never took a nighttime photo of a city building that was completely dark unless it was in the aftermath of a sudden power cut. There are always the little twinkles of activity, the randomly lit windows, here and there, that remain. And each window is a story. Mind you, the story may not ever be revealed in full. We seldom know who’s burning the midnight oil, just as we can’t but guess about their motives, dreams, or dreads. But the light created by their presence is enough to shape images with a little mystery, and that is at the soul of urban photography. In the daytime, everything is evenly lit, and the “after hours” people are rendered invisible. 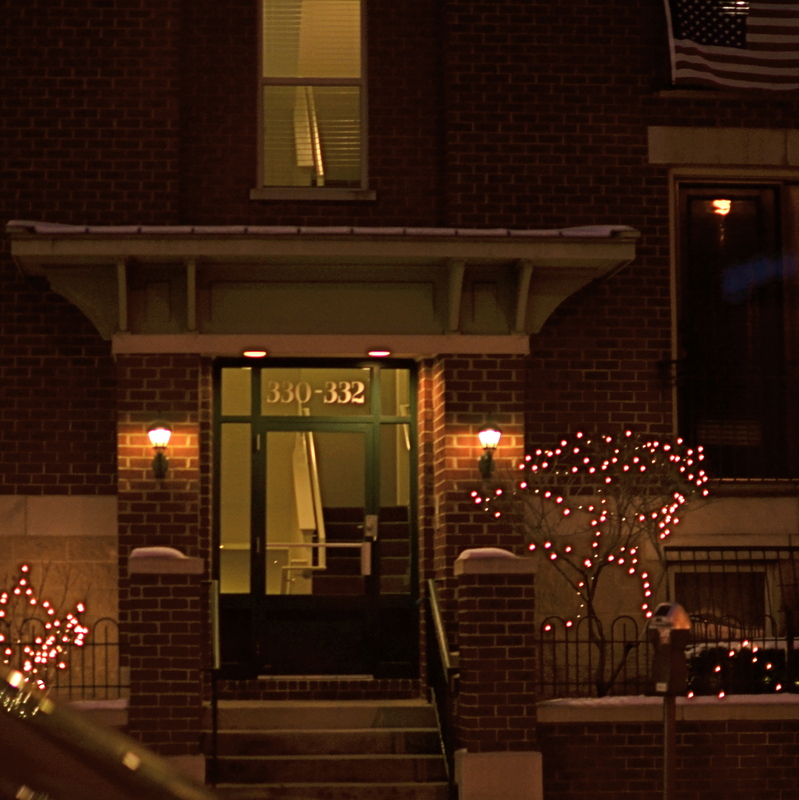 After dark, however, their special qualities shine forth, shaping the mood and character of the most mundane building. Or image. Some lights are on because other lights are on. 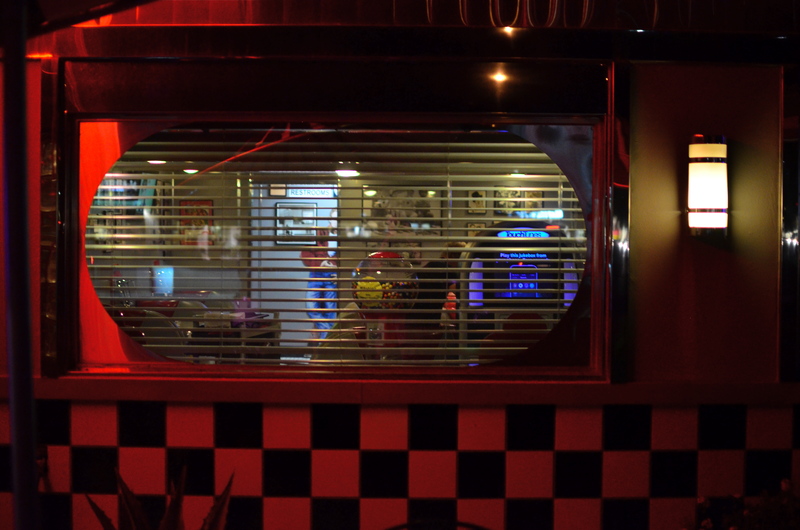 If Man “A” is staying at his desk way past dinner, then the lights at Diner “B” must remain on as well, ’cause Daddy needs him a sandwich, and yes, just one more cup of coffee. We don’t see those connections, but we know they, and many others, are there, keeping the lights on, keeping the human drama going. A second look at the city after hours allows us to document part of that drama, and, as is usual in photography, that glimpse may be all we need to whip up a little whimsy. EVERY PHOTOGRAPH YOU TAKE IS OF CONSEQUENCE. That doesn’t mean that every subject you shoot will “matter”, or that every mood you capture will be important. Far from it. However, every frame you shoot will yield the most positive thing you could hope for in your development. Feedback. This worked. God, this didn’t. Try again with more of this. One more time, but change the angle. The light. The approach. The objective. Nothing that you shoot is time wasted, since the positive and negative information gleaned is all building toward your next ah-ha miracle. Your greatest work has to come as the total of all the building blocks of all the little details you teach yourself to sweat. And that is why you must, I repeat with religious fervor, Always Be Shooting. Something from a photo that won’t change the world will wind up in the photo that will. The what-the-heck experiment of today’s shot is the foundational bedrock of tomorrow’s. You are always going to be your most important teacher, and you get better faster by giving your muscles lots of exercise. Light changes, those hundreds of shadows, flickers, hot spots and glows that appear around your house for minutes at a time during every day, are the easiest, fastest way to try something…anything. A window throws a stray ray onto your floor for three minutes. Stick something in it and shoot it. A cloud shifts and bathes your living room in gold for thirty seconds. Place a subject in there to see how the light plays over its contours. Shoot it, move it, shoot it again. Lather, rinse, repeat. The image at left came when a shaft of late afternoon light shot through my bathroom window for about three minutes. I grabbed the first thing I saw that looked interesting, framed it up, and shot it. Learned a little about shadows in the process. Nothing that will change the world. Still. Many cheap, simple opportunities for learning get dumped in your lap everyday. Don’t wait for masterpiece subject matter or miracle light. Get incrementally better shooting with what you have on hand. Grab the little glows, and use spare minutes to see what they can do to your pictures. And, on the day when the miracle saunters by, you will be ready. I shot this on a day when I was forcing myself to master a manual f/2.8 lens wide open, and thus shoot all day in only that aperture. That made depth-of-field tricky. PHOTOGRAPHY PLACES YOU IN PLENTY OF SITUATIONS WHERE YOU ARE, TO SOME DEGREE, OUT OF CONTROL. From light conditions to the technical limits of your gear to erratic weather, we have all experienced that sinking feeling that accompanies the realization that, to a great extent, we are not in the driver’s seat. Gotta wait til the sun’s up. Gotta wait for the flash to recycle. Gotta cool my heels til these people get out of the frame. Gotta getta bigger bottle of Tums. So why, given the frequent cases in which we naturally run off the rails, would I recommend that you deliberately hobble yourself, in effect putting barriers in your own way when shooting images? Because, quite simply, failure is a better teacher than success, and you never forget the lessons gained by having to work around a disadvantage. Not only am I encouraging you to flirt with failure, I’m suggesting that there are even perfect days on which to do it…that is, the many days when there is “nothing to shoot”. It’s really practical, when you think of it. Go out shooting on a day when the subject matter is boring, a day on which you could hardly be expected to bring back a great picture. Then nail your foot to the floor in some way, and bring back a great picture anyway. Pick an aperture and shoot everything with it, without fail (as in the picture at left). Select a shutter speed and make it work for you in every kind of light. Act as if you only have one lens and make every shot for a day with that one hunk of glass. 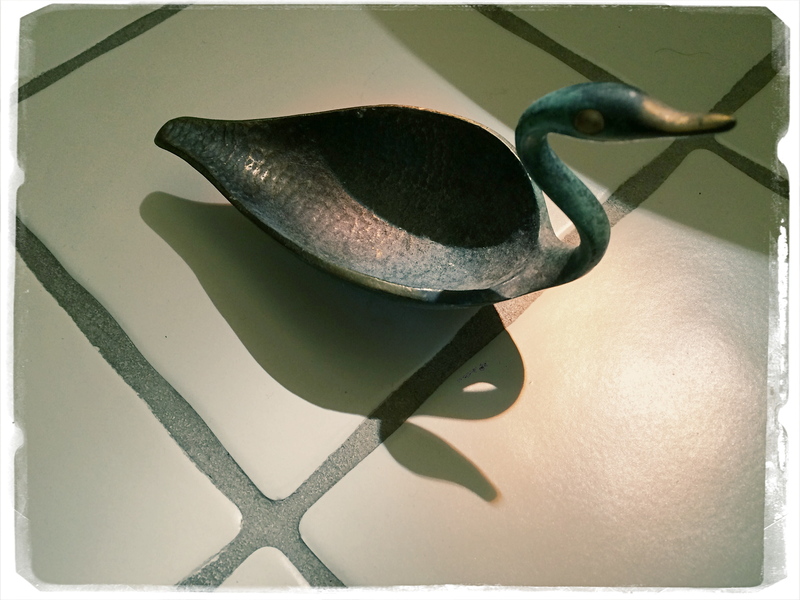 Confine your snaps to the use of a feature or effect you don’t use or understand. Compose every shot from the same distance. The exercise matters less than the discipline. Don’t give yourself a break. Don’t cheat. In short, shoot stuff you hate and make pictures that don’t matter, except in one respect: you utilized all of your ingenuity in making them. This redeems days that would otherwise be lost, since your shoot-or-die practice sessions make you readier when the shots really do count. It’s not a lot different from when you were a newbie a primitive camera on which all the settings were fixed and you had zero input beyond framing and clicking. With “doesn’t matter” shooting, you’re just providing the strictures yourself, and maneuvering around all the shortcomings you’ve created. You are, in fact, involving yourself deeper in the creative process. And that’s great. Because someday there will be something to shoot, and when there is, a greater number of your blown photos are already behind you. AMERICANS LOVE TO CELEBRATE A WINNER, and they also like to clearly identify who most definitely did not win. We score-keep on everything from fantasy football to number of days on the job without accidental amputations, and we love, love, love to declare someone the champ…in anything. This either/or, winner/loser habit of the western mind, when applied to photography, leads people to argue over which is better…traditional cameras or those imbedded in mobiles, as if such a judgement is possible. Or as if it matters. So, as you rifle through these humble pages, I hope I make it abundantly clear that, from my standpoint, it’s all about the pictures. Changing the white balance from auto to shade warmed up the colors in this nearly-outdoor shot. 1/25 sec., f/5.6, ISO 800, 35mm. The principle difference between, say, DSLRs and phone cameras, to me, is one of method, or how they approach the job of making an image. In full-function cameras, the emphasis can be on how to use the device’s controls and settings to set the terms of your picture before the click. In cellphone cameras, it’s all about how you can massage what the camera was able to give you after the fact, be it with in-phone apps or computer software. You simply can’t impose your will on an iPhone camera until after the picture is taken, and that’s an important distinction. Notice that I did not say better/worse, great/horrible. You just have to decide what’s important to you in a given situation. Take a very simple choice that is available in even basic point-and-shoot “camera-cameras”, like white balance. Your camera has the option of deciding, for you, how colors should register based on the temperature of the light, or you can over-ride that function and customize it to your heart’s delight, something that, at this point in time, cannot be done on a cellphone camera. Even easier, menus reduce all your white balance options to visual icons (sunburst, house in shade, electric light bulb, etc) depending on how warm you want your pictures. You can even tweak for the precise kind of artificial light you’re working with, from incandescent to flourescent. 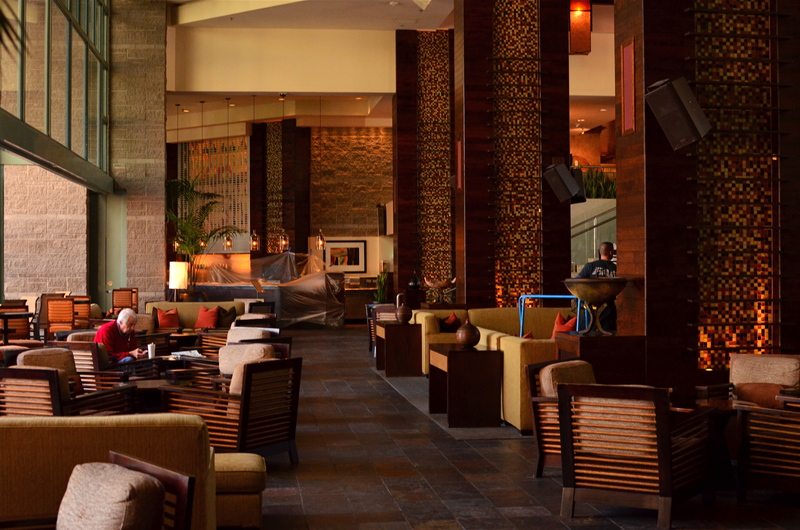 As an example, in the above shot, the morning light in the hotel lobby was, on automatic white balance, coming off blue, especially in the shadows. The entire effect of the golden period just after sunrise was being subverted by the camera. Easy fix: just dial it up for a shade setting, bump up the exposure a tad (slower shutter, higher ISO), and the warmth came back, but not so deep that everything went bad-suntan-bronze. And, yes, I could have got this shot with an iPhone, but the adjustment would have had to have been made after I got the shot wrong, then searched around for a fix. Again, there’s no good or bad. You just have take your own temperature and decide what treatment you need. Three Brothers by Joni Gauthier, 2014. The joy jumps out at you. PICK ANY PHOTOGRAPHIC ERA YOU LIKE, and most of the available wisdom (or literature) will concentrate on honoring some arbitrary list of rules for “successful” pictures. On balance, however, relatively few tutorials mention the needful option of breaking said rules, of making a picture without strict adherence to whatever commandments the photo gods have handed down from the mountain. It’s my contention that an art form defined narrowly by mere obedience is bucking for obsolescence. It’d be one thing if minding your manners and coloring inside the lines guaranteed amazing images. But it doesn’t, any more than the flawless use of grammar guarantees that you’ll churn out the great American novel. Photography was created by rebels and outlaws, not academics and accountants. Hew too close to the golden rules of focus, exposure, composition or subject, and you may inadvertently gut the medium of its real power, the power to capture and communicate some kind of visual verity. A photograph is a story, and when it’s told honestly, all the technical niceties of technique take a back seat to that story’s raw impact. The above shot is a great example of this, although the masters of pure form could take points off of it for one technical reason or another. 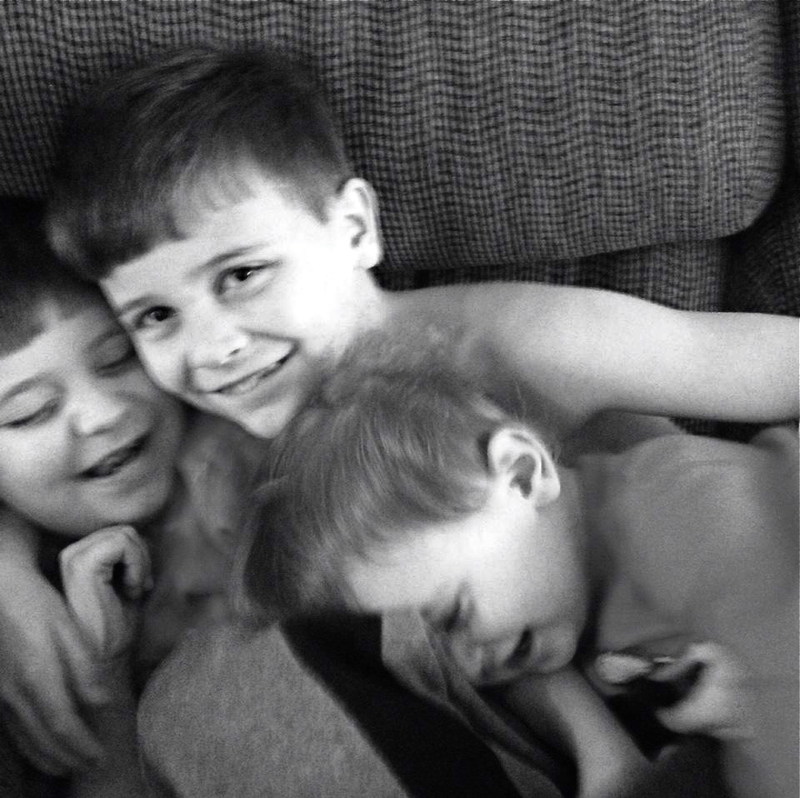 My niece snapped this marvelous image of her three young sons, and it knocked me over to the point that I asked her permission to make it the centerpiece of this article. Here, in an instant, she has managed to seize what we all chase: joy, love, simplicity, and yes, truth. Her boys’ faces retain all the explosive energy of youth as they share something only the three of them understand, but which they also share with anyone who has ever been a boy. This image happens at the speed of life. I’ve seen many a marvelous camera produce mundane pictures, and I’ve seen five-dollar cardboard FunSavers bring home shots that remind us all of why we love to do this. Some images are great because we obeyed all the laws. Some are great because we threw the rule book out the window for a moment and just concentrated on telling the truth. You couldn’t make this picture more real with a thousand Leicas. And what else are we really trying to do? Let the light decide what makes a photograph. Modem, 2014. 1/30 sec., f/1.8, ISO 800, 35mm. PHOTOGRAPHY IS OFTEN DEFINED CLASSICALLY AS “WRITING WITH LIGHT“, but I often wonder if a better definition might be “capitalizing on light opportunities”, since it’s not really what subject matter we shoot but light’s role in shaping it that makes for strong images. We have all seen humble objects transformed, even rendered iconic, based on how a shooter perceives the value of light, then shapes it to his ends. That’s why even simple patterns that consist of little more than light itself can sometimes be enough for a solid photograph. If you track the history of our art from, say, from the American Civil War through today’s digital domain, you really see a progression from recording to interpreting. If the first generally distributed photographs seen by a mass audience involve, say, the aftermath of Antietam or Gettysburg, and recent images are often composed of simple shapes, then the progression is very easy to track. The essence is this: we began with photography as technology, the answer to a scientific conundrum. How do we stop and fix time in a physical storage device? Once that very basic aim was achieved, photographers went from trying to just get some image (hey, it worked!) to having a greater say in what kind of image they wanted. It was at this point that photography took on the same creative freedom as painting. Brushes, cameras, it doesn’t matter. They are just mediums through which the imagination is channeled. In interpreting patterns of elementary shapes which appeal on their own merit, photographers are released from the stricture of having to endlessly search for “something to shoot”. Some days there is no magnificent sunrise or eloquent tree readily at hand, but there is always light and its power to refract, scatter, and recombine for effect. It’s often said that photography forced painting into abstraction because it didn’t want to compete with the technically perfect way that the camera could record the world. However, photography also evolved beyond the point where just rendering reality was enough. We moved from being reporters to commentators, if you like. Making that journey in your own work (and at your own pace) is one of the most important step an art, or an artist, can take. 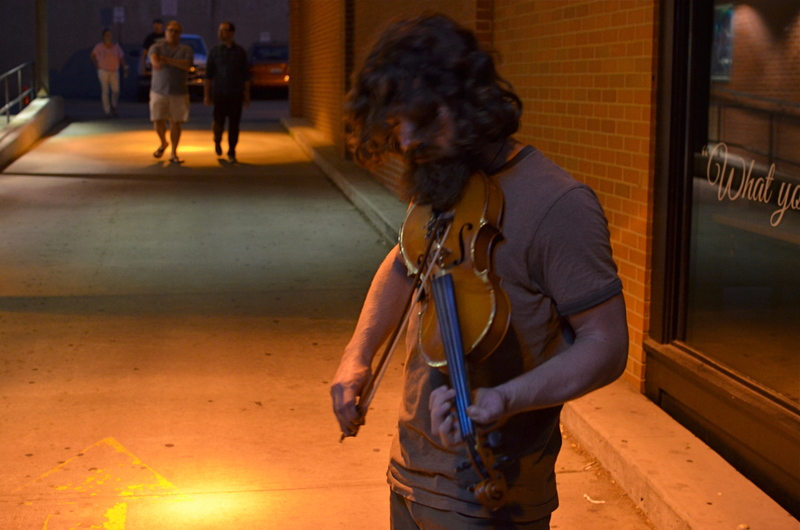 Fiddler, 2014. Too soft? Too dark? True? False? 1/50 sec., f/3.5, ISO 1000, 35mm. I’D LIKE TO ERADICATE THE WORD “CAPTURE” FROM MOST PHOTOGRAPHIC CONVERSATIONS. It suggests something stiff or inflexible to me, as if there is only one optimum way to apprehend a moment in an image. Especially in the case of portraits, I don’t think that there can be a single way to render a face, one perfect result that says everything about a person in a scant second of recording. If I didn’t capture something, does that mean my subject “got away” in some way, eluded me, remains hidden? Far from it. I can take thirty exposures of the same face and show you thirty different people. The word has become overused to the point of meaningless. We are all conditioned to think along certain bias lines to consider a photograph well done or poorly done, and those lines are fairly narrow. We defer to sharpness over softness. We prefer brightly lit to mysteriously dark. We favor naturalistically colored and framed recordings of subjects to interpretations that keep color and composition “codes” fluid, or even reject them outright. It takes a lot of shooting to break out of these strictures, but we need to make this escape if we are to move toward anything approaching a style of our own. 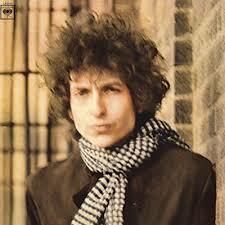 Jerry Schatzberg’s iconic portrait of Bob Dylan from the cover of Blonde On Blonde. I remember being startled in 1966 when I first saw Jerry Schatzberg’s photograph of Bob Dylan on the cover of the Blonde On Blonde album. How did the editor let this shot through? It’s blurred. It’s a mistake. It doesn’t…..wait, I can’t get that face out of my head. It’s Bob Dylan right now, so right now that he couldn’t be bothered to stand still long enough for a snap. The photo really does (last time I say this) capture something fleeting about the electrical, instantaneous flow of events that Dylan is swept up in. It moves. It breathes. And it’s more significant in view of the fact that there were plenty of pin-sharp frames to choose from in that very same shoot. That means Schatzberg and Dylan picked the softer one on purpose. There are times when one 10th of a second too slow, one stop too small, is just right for making the magic happen. This is where I would usually mention breaking a few eggs to make an omelette, but for those of you on low-cholesterol diets, let’s just say that n0 rule works all the time, and that there’s more than one way to skin (or capture) a cat.